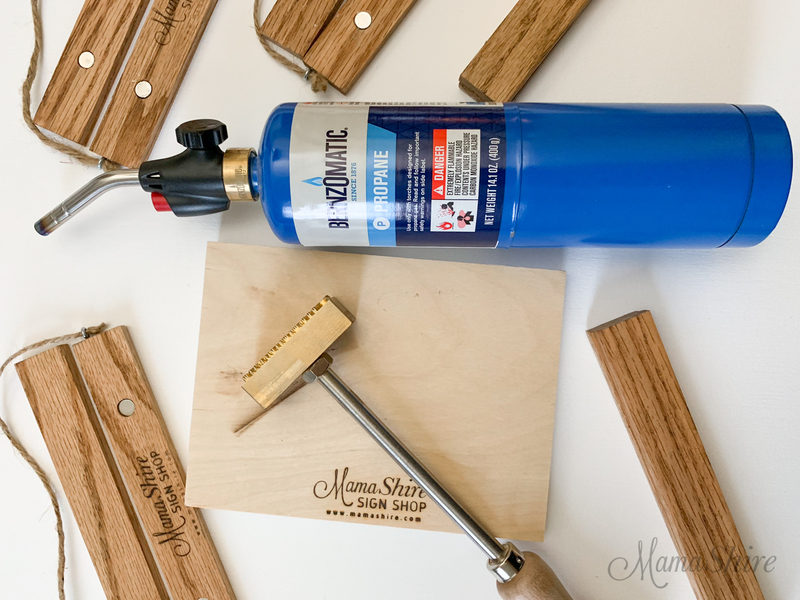 Let me show you how to use a branding iron on wood! It’s amazingly satisfying and easy to do! 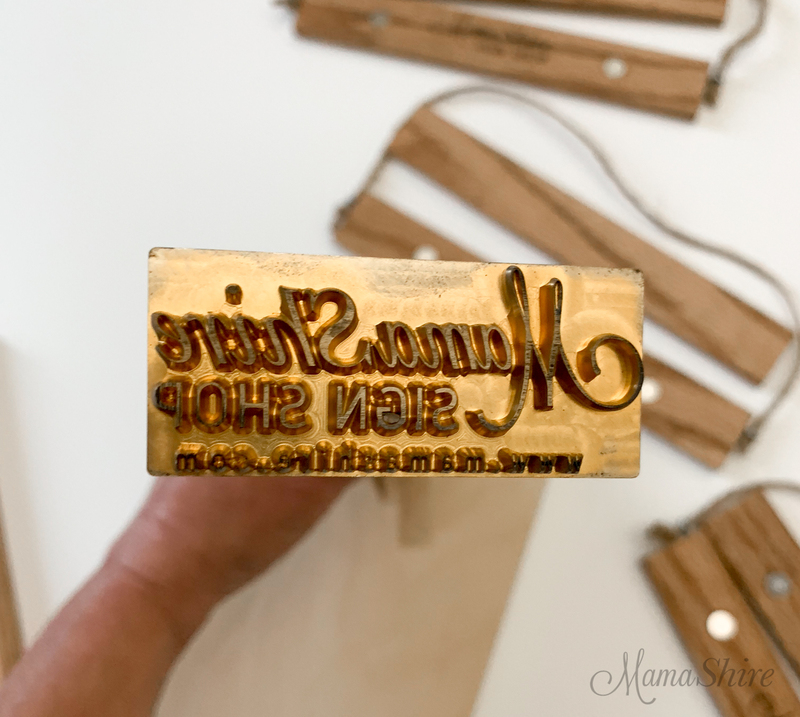 This branding iron is from Budget Branding and yes, for disclosure they sent me my own personalized branding iron for free to try out and…. I love it. That opinion is all mine! Now, let me show you how easy it is to use! 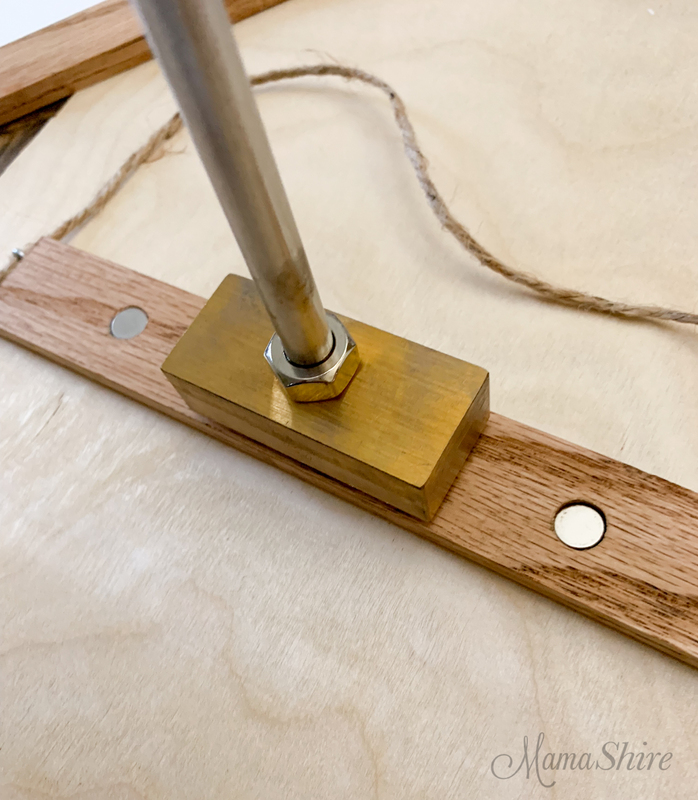 The branding iron comes on a long stainless steel rod with a hardwood handle. You’ll need a small handheld propane tank with a trigger start torch head like this one I found at Lowe’s. And you’ll need a place to set your branding iron once it’s hot. I started with a block of wood to set it on, but quickly realized I needed something different. I got out my iron skillet and set it on a hot pad and it worked perfectly. You can see how easy this is to do even one-handed, since I was holding my phone in my other hand. Notice the iron skillet in the bottom of the picture. That is where I set my branding iron when I wasn’t using it. It took around 6 minutes to heat up the iron up using the propane tank. 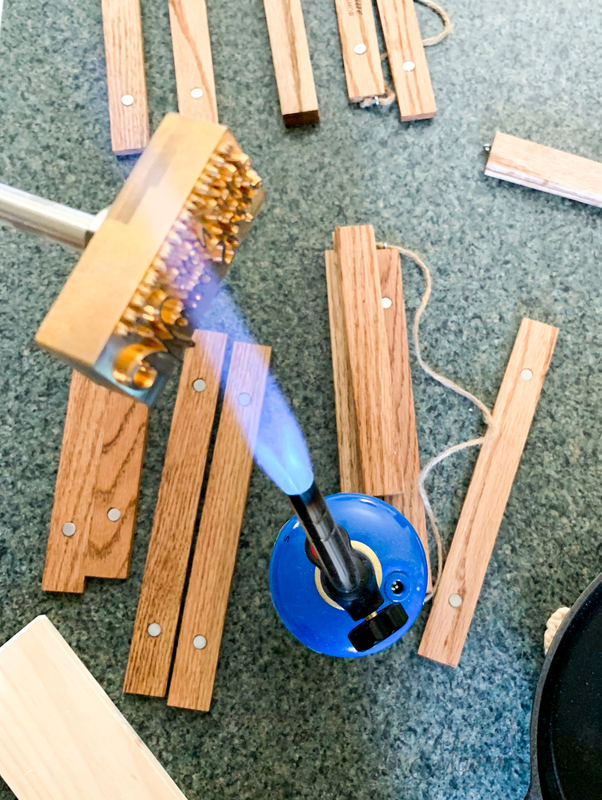 I tested it on some scrap wood to see when it was hot enough to put a good brand into the wood. Once it’s hot all you do is hold it down, press evenly into the wood for just a couple of seconds and remove. You may want to practice on some scrap wood, before using your good wood. There it is! I love how it turned out! 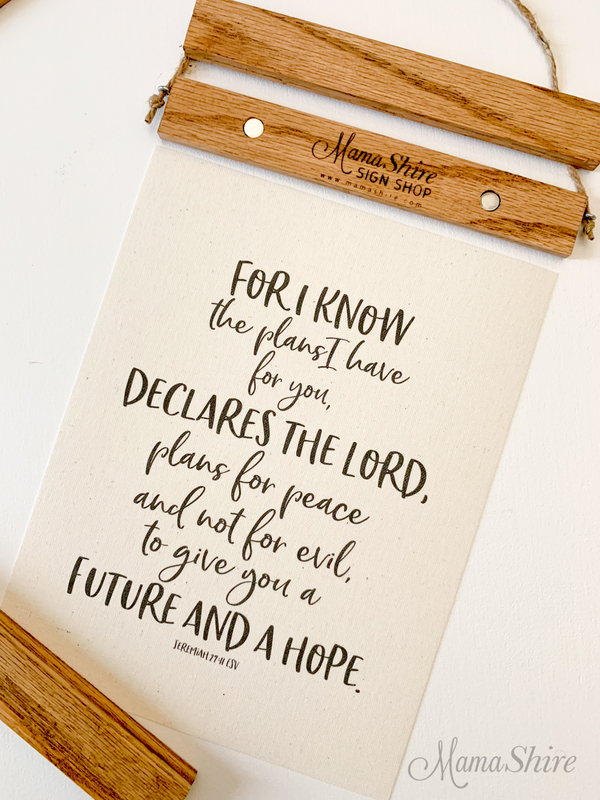 It’s makes it so easy to add a custom design to your wood. 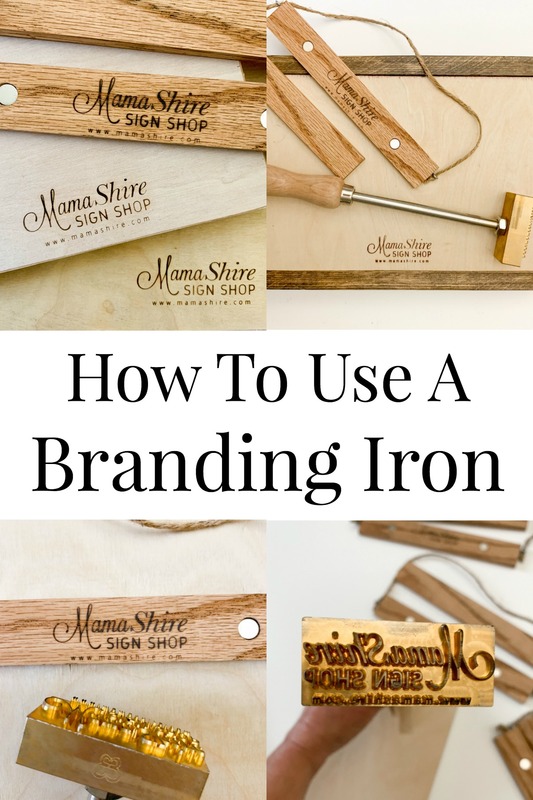 After you’re finished with the branding iron be sure to let it cool off completely. I set mine in my iron skillet to cool. 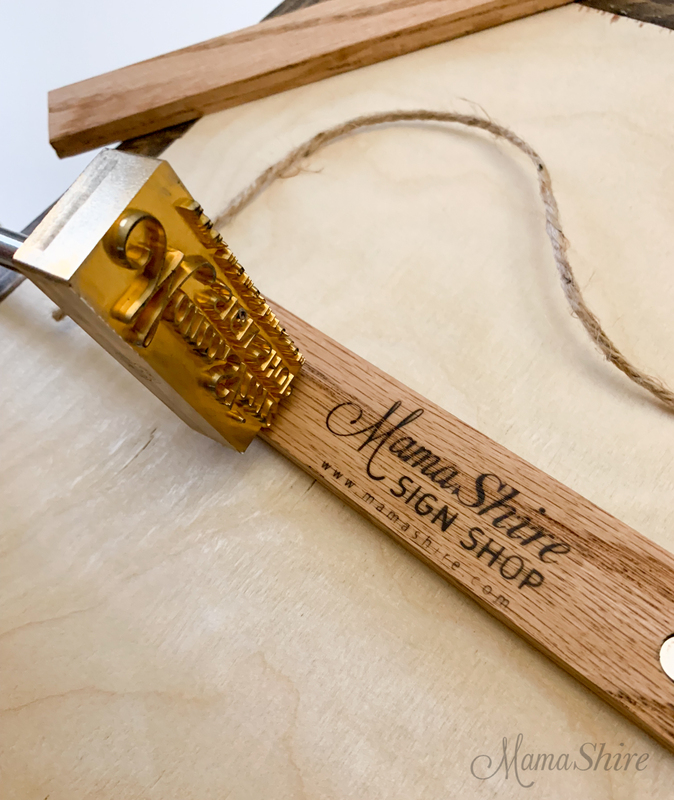 Budget Branding uses 3/4 inch thick brass for their branding irons. 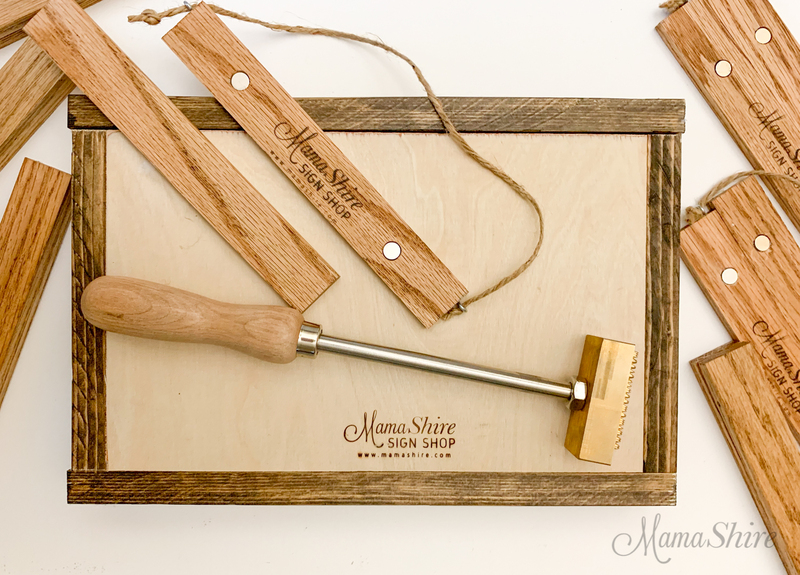 And it’s easy to upload your own design to their website to get a custom branding iron. I really love how the custom design works so perfectly on my wood frames. These frames are available in my Etsy Shop. Be sure to visit Budget Branding and have a look at what they have to offer. They have electric heated branding irons too if you would prefer not to use a propane tank. 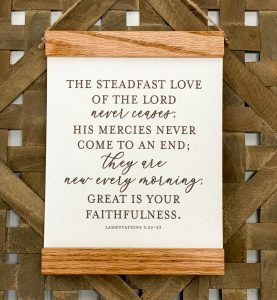 Save this pin to your favorite Pinterest boards to remember for later!